Our family has served the heating oil delivery and HVAC needs of our customers for more than 50 years! Cooling and gas heating systems are now included in our total comfort services & installations. Enjoy the full complement of home heating services for both gas and oil systems from our team of experienced technicians. Experience reliable and professional heating oil delivery services. Next day delivery is included for many homes and businesses! We provide installation, repair, and service for all cooling systems. Save 10% on new installs with our Total Comfort Service Plan. 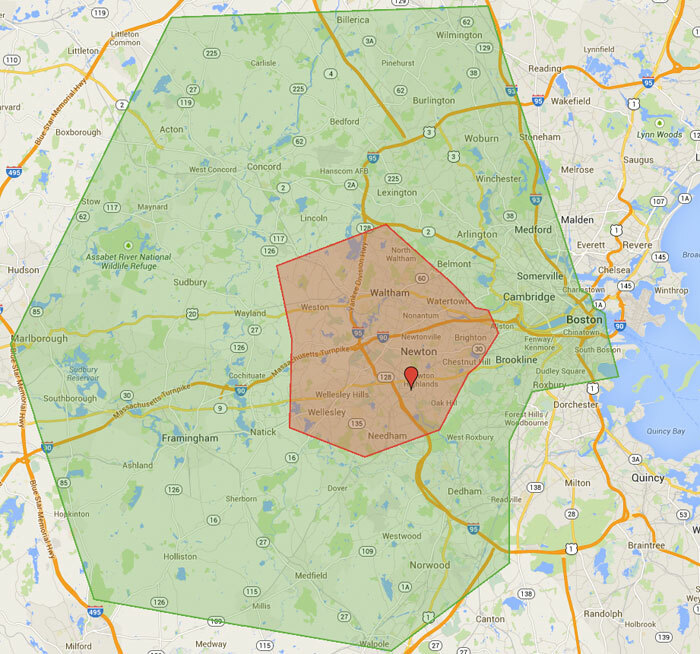 Newton, Wellesley, Needham, Brighton, Brookline, Watertown, Waltham, Weston. Arlington, Ashland, Bedford, Belmont, Brighton, Brookline, Burlington, Cambridge, Canton, Concord, Dover, Framingham, Holliston, Hopkinton, Lexington, Lincoln, Medfield, Medford, Millis, Natick, Needham, Newton, Norwood, Roslindale, Sherborn, Southborough, Sudbury, Waltham, Wayland, Wellesley, Weston, West Roxbury, Wilmington and Winchester. Commitment to providing the best customer service in the Boston, Massachusetts area has been a family value since Nick and his wife Kay started this business in 1945. Since then we have had three generations join the business to help our expansion, yet we still keep our small family mentality to provide the most personal service to our customers. We are able to maintain our high standards of service because we remain family owned, operated, and totally independent. “They deliver my oil, and annually service my burner. I have been using them for over 40 years and I have always had satisfaction with their service. I have worked with several generations, and enjoy that they are family owned and operated.” Carol C.
“Bigelow Energy has always provided prompt and courteous service. Their technicians are extremely knowledgeable, and the delivery staff is very professional as well. I would highly recommend them for anyone’s energy and service needs.” Larwence G.
“This company comes out each year to service and clean out the heating system in our 1800 ft2 home. They always send out great guys and we have been using them for a long, long time. We have never had a problem. They always do a good job for us.” Alfred G.
We’ve found old-fashioned preventive maintenance is the best way to avoid expensive emergencies. Every new automatic heating oil delivery customer gets two years of our Total Comfort Service Plan for FREE (that’s a huge value!). Our heating/cooling service plans keep maintenance costs low, give you peace of mind, and protect your family in case of emergency. No matter the weather, our HVAC technicians are prepared to service your unit in the case of equipment failure. These preventive plans allow you to contact us immediately for fast repair and avoid uncomfortable lapses in heating or air conditioning. Our service line is available 24/7. Contact us to sign up as a new customer, schedule service or delivery as an existing customer.